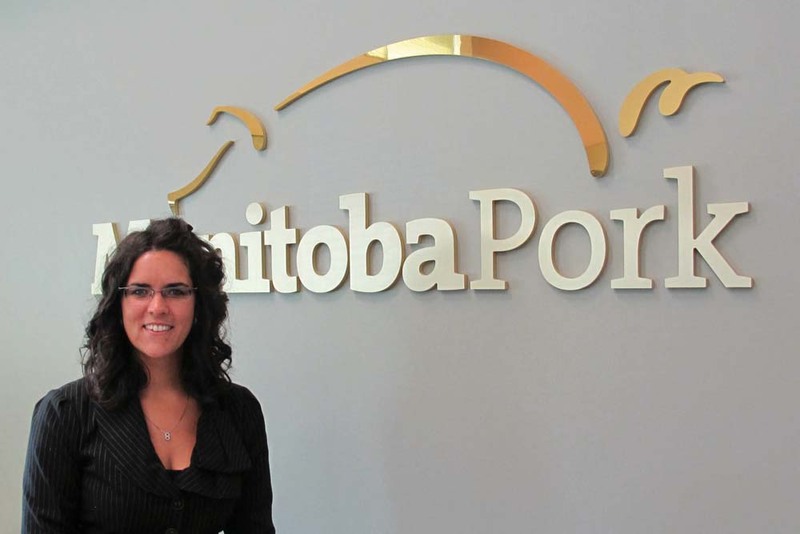 The summer’s PEDv outbreak has been a hard teacher on biosecurity issues, but the Manitoba Pork Council says those lessons will help fight future diseases like PRRS (porcine reproductive and respiratory syndrome). The pork sector was rocked in the east this year, with 80 barns testing positive for PEDv, including the first cases west of the Red River. 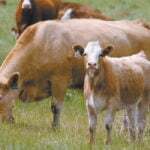 Before 2017, Manitoba reported 10 cases of PEDv, a disease that kills 80-100 per cent of naive weanlings and causes dehydration and sickness in older animals. The outbreak gave MPC a crash course on the state of biosecurity in the province, MPC swine health programs manager Jenelle Hamblin said. At the same time, the sometimes alarming spread of the disease, “really brought biosecurity to the forefront of people’s headspace,” in the affected area, she said. The result was tightened biosecurity and more attention to movements on and off farm. Service providers set up their own biosecurity policies and the sector as a whole was on high alert for potential disease entry points at facilities throughout the value chain. Manitoba’s Chief Veterinary Office turned an evaluating eye to biosecurity in the wake of the outbreak. The CVO did 41 assembly yard assessments, 17 wash station assessments and 27 processing plant assessments. It found that out of 27 observed shipments to the processing plant, 10 drivers made contact with the loading dock and eight out of the 10 did not change their footwear when stepping into the trailer. Out of all drivers just 12 changed footwear when entering the trailer. At assembly yards, seven of the 41 trucks had more than one person inside. Four times the passenger got out and half of those extra people leaving the truck did not protect the cab for biosecurity when they did. When it came to scrape-out, 11 out of 31 observed drivers at assembly yards and 12 of 22 at the processing plant did not change their boots. Wash station assessments showed none of the 17 observed trucks used soap or degreaser when washing down. On the brighter side, all organic matter was gone by the time trucks were disinfected. Eleven of the trucks were disinfected on site and “most others” followed suit at the truck’s home base. All trucks were allowed to dry before being used again, the report added. 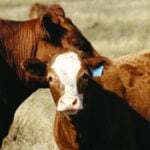 Those results should be taken with caution and should not be confused with a scientific study, Glen Duizer, CVO veterinarian, warned. The assessments are a snapshot in time and a different day may have returned different results, he warned. Both Duizer and Hamblin also stressed that no link was made between what was observed and PEDv spread. Despite those caveats, Duizer says he took away several lessons from the results. There is a “decent percentage” of drivers who have adopted national policy on swine transport biosecurity, he said. “It looks like there is a level of concern and interest when we are in an outbreak situation to make sure that those types of standards are being followed when we are delivering to high-traffic sites,” he said. Duizer noted the need for temporary measures during outbreaks, biosecurity that goes over and above usual recommendations. Every facility should have a plan for such “wartime” biosecurity, according to Duizer. “Will that need to be done on spots like high-traffic sites? Maybe, but it is something that we should at least be considering,” he said. MPC wants to see less contact between drivers and the inside of facilities where they are delivering pigs. Those contacts are tagged as one way a virus might jump facilities. CVO assessments found 23 of 27 observed drivers at the processing plant entered the facility or made contact with the plant office. “We’ve noted that, in particular, some of the high-traffic sites had already made changes to make it so drivers don’t walk into the office, don’t need to go into the office, yet in some cases drivers still choose to do so,” Duizer said. Given that, he added, it’s time to look for other motivations drivers might have for entering the office, as well as any logistical changes to make sure drivers have no need to access the inside of the facility. Biosecurity was more contained at assembly yards. Only 15 of 41 observed drivers made contact with the loading dock or the inside of the facility, although 12 of the 15 who touched the dock also did not change footwear to enter the trailer. The PEDv outbreak has cooled since its peaks in June and July. No new cases have been reported since Oct. 24. The shift has left producers pondering the future of biosecurity on their farms and which outbreak measures should be carried forward or relaxed. Dave Hildebrandt, general manager for Morris Piglets, near Lowe Farm, was among those bumping up biosecurity after brushing a PEDv buffer zone. The CVO placed a five-mile buffer zone around all infected barns. 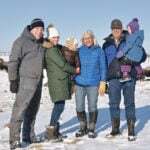 “Basically, we laid out all our normal biosecurity for entering the barn which was already in place, all the shower-in procedure, etc., and then we set up further biosecurity for entering onto our farm site,” he said. Some of those measures included limed approaches, a closer watch on trailer disinfection and drying, employee parking on driveways rather than on the yard and more strict footwear policy. “They actually left all of their outer footwear outside of that limed area and changed into boots and then walked across the limed area and across the barn yard and then entered the barn building itself, and then still followed our barn entry protocol for entering the barn,” he said. Added to that, he asked employees to avoid roads where transports from the infected farm were most likely to travel. The lime protocol fell by the wayside once the nearby PEDv threat had dimmed, he said. The line between “wartime” and “peacetime” biosecurity will be highly individual and guided by day-to-day operation, Hamblin said. 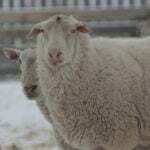 “The standards and the principles are all similar, but specific plans on farm and in service areas for service providers, they’re tailored to specific production types and flows and production mechanisms,” she said, noting that producers should turn to their veterinarian for help developing a plan. Biosecurity should remain high as a matter of course, the pork council says, particularly over the winter and into spring 2018. Looking forward, Hamblin says she plans to extend the Manitoba Coordinated Disease Response, a network of pork producers and veterinarians that the council says will spread information faster in another outbreak situation. The network has focused on PEDv so far, although Hamblin says she expects to spread the program into western Manitoba, an area untouched by PEDv, and shift focus to include PRRS.